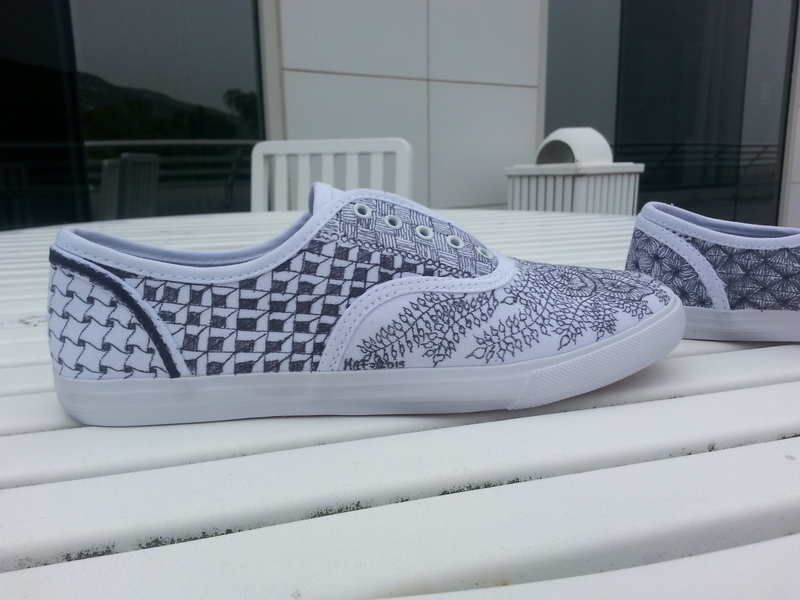 A co-worker wears these amazing shoes she finds online at bucketfeet.com. She saw a notice encouraging artists to submit their designs — and mentioned it to me. Maybe because I have lots of doodles of the Zentangle variety pinned in my cube. 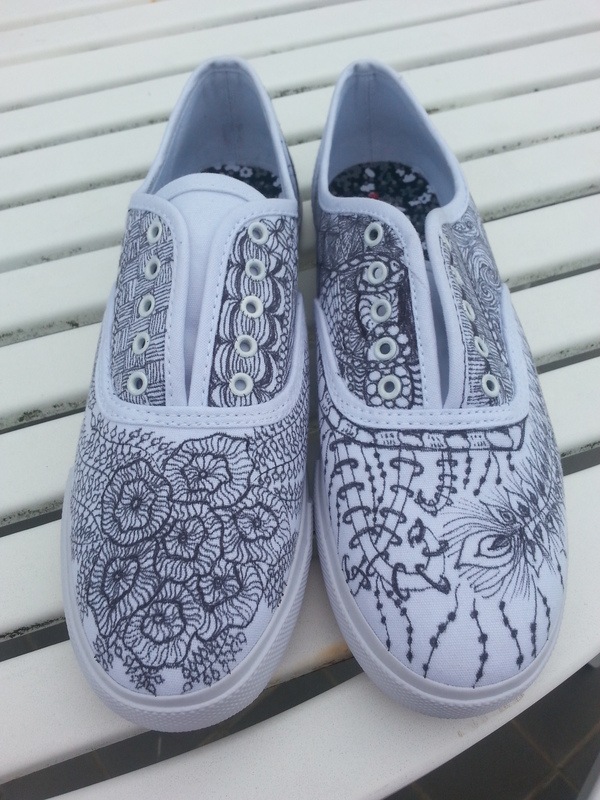 I never got around to submitting art at bucketfeet, but I thought that it’d be fun to draw on shoes. I mean, why not? It’s a canvas, right? 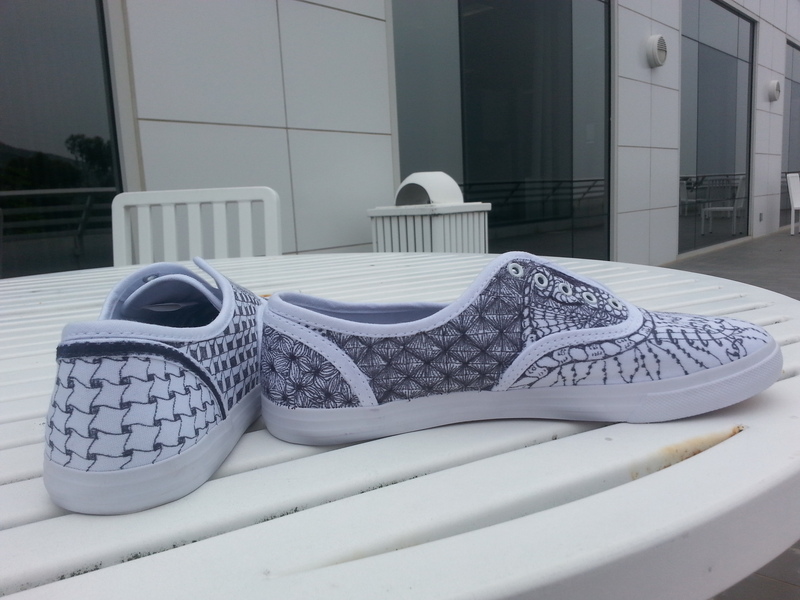 I offered to doodle all over a pair of sneakers for her. She looked around for a comfortable pair, and then delivered them to me. I thought about them. I worried about them. What if I made a mistake? I didn’t want to ruin a good pair or new shoes! I reminded mysel f that there’s no wrong way to do art, and I eventually broke it down to one section at a time. I could do one section, right? I was pleased enough with my first attempt that I moved on to another, then another. Until I got stuck and put them away. Another coworker with whom I work also Zentangles, and while in a meeting I was surreptitiously watching her add lines to a doodle in the corner of her notepad. Seeing her design develop, I felt that jolt of inspiration. 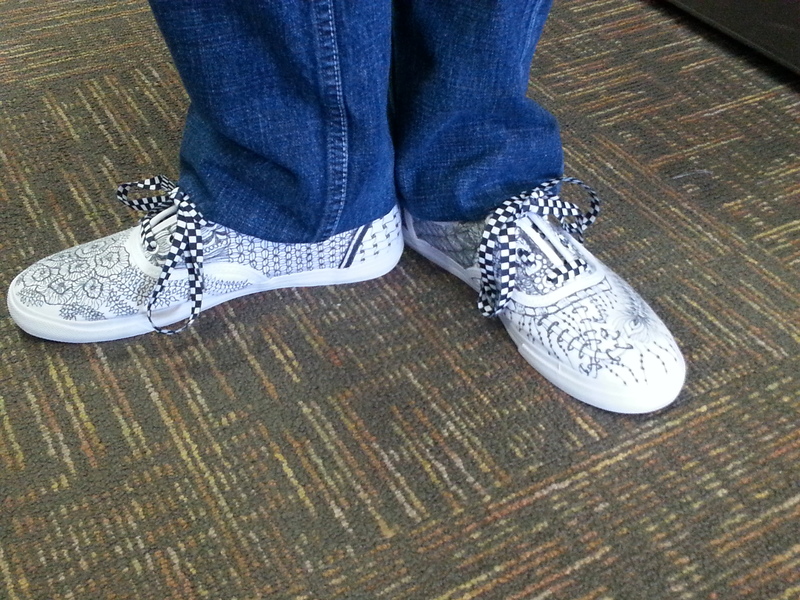 Last night I completed the project and brought the shoes in to work for my wild-shoe-sporting coworker. They are currently adorning her feet, and the story of the shoes and laces told many times over. 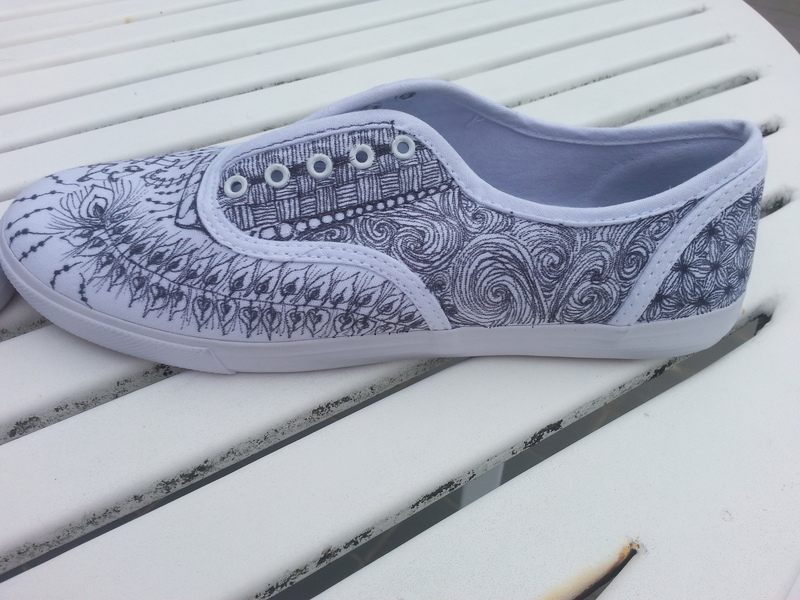 I am enormously flattered that she likes my work well enough to want to wear my art on her feet. My son donated the shoelaces and taught me the vertical bar method of lacing shoes. Looks like I’m now on the hook to create a pair for both my son and my youngest daughter. What fun!